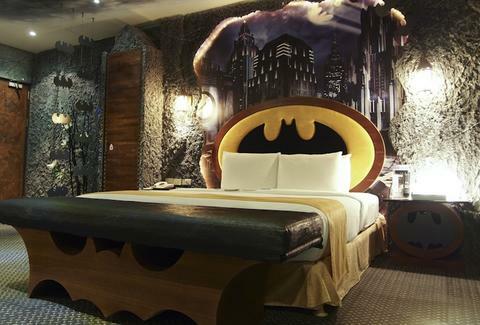 Batman Fans: This Motel Has a Batcave for You. Dream of being badass like Batman? 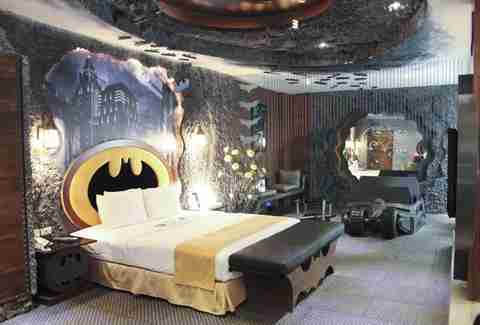 Then Taiwan’s Eden Motel's for you, though they coyly call their Dark Knight-themed hotel room “a momentary sensual escape.” $50 will buy you three hours worth of those moments in your own personal Gotham City. Check it out. The headboard, the night stand, the bench, the linens -- all DC Comics-worthy. 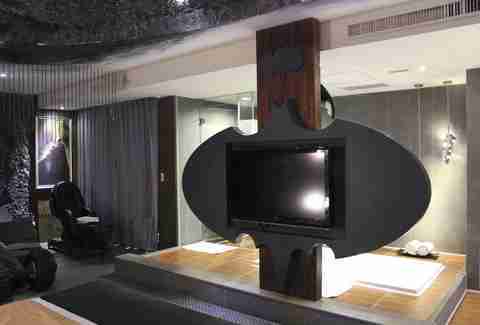 The only time it's ever acceptable to waste precious minutes in an Asian love hotel vegging out in front of the TV... is when said TV's shaped like the bat symbol. When he isn’t saving Gotham from the clutches of evil, Bruce Wayne enjoys romantic, petal-strewn bubble baths. As will you. Who knew? 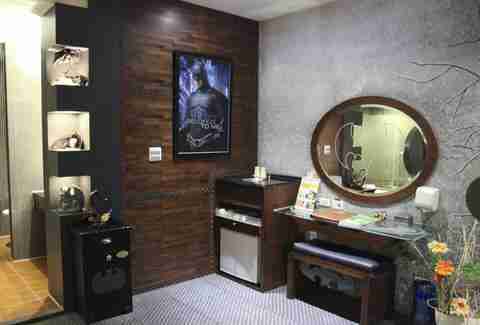 Before you check out, check that Alfred suitably stocked your mini bar, and snap a selfie in the bat-themed mirror.